FairWinds has one of the few wine labels in the country that includes the U.S. flag. NOTHING SAYS “maritime” quite like the old Olympic Peninsula town of Port Townsend, with Victorian buildings and homes that are echoes of its 19th-century heritage. Today, boating enthusiasts enjoy Port Townsend’s annual Wooden Boat Festival, which began in the late 1970s and draws thousands from across the continent. 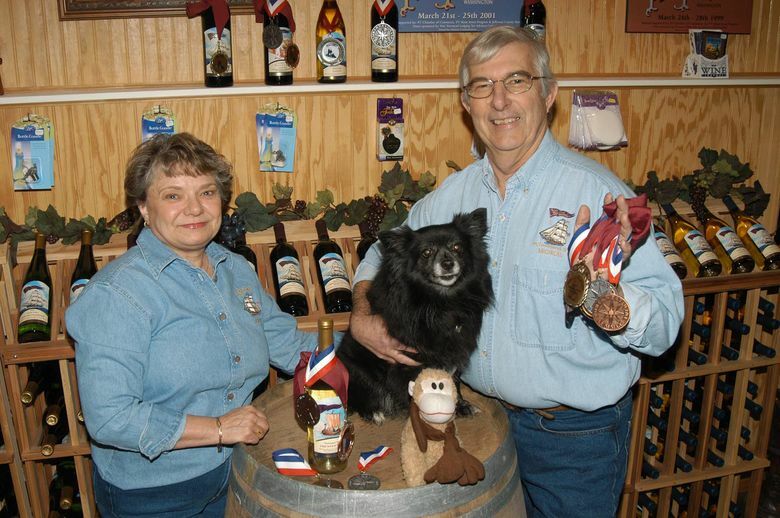 FairWinds Winery in Port Townsend was launched in 1993 by a couple of retired Coast Guard veterans, with wine made by Michael Cavett, who spent more than 30 years in the Coast Guard and fell in love with Port Townsend during a visit in the 1980s. These wines are sold primarily in Port Townsend, though they can be ordered online or by calling the winery. If you find yourself visiting the peninsula, fit in time to visit a winery or two. FairWinds is an hour’s drive from Bremerton or a few minutes off the ferry from Coupeville. FairWinds Winery 2009 merlot, Yakima Valley, $25: Ripe blackberry, Bing cherry, new leather and a whisper of oak, followed by intense, mature flavors of cocoa powder and plum, are backed by resolved tannins that give way to a long finish. FairWinds Winery 2005 Champoux Vineyards cabernet sauvignon, Horse Heaven Hills, $35: Aromas of complex spices back ripe plum and cocoa powder, giving way to flavors of blackberry, plum and vanilla, with memorable tannins and a long, delicious finish. FairWinds Winery NV Port O’ Call, Washington, $26: This fortified Port-style dessert wine opens with seductive aromas of plump golden raisins, toasted pine nuts and dark chocolate shavings, followed by flavors of plum and raspberry jam and a long finish. For a real treat, pair it with blue cheese, such as Stilton. When he came up with a label, it included a drawing of The Bear, an old revenue cutter that is the most famous ship in the history of the Coast Guard. When Cavett submitted it to the government for approval, it was rejected because it included The Bear. The drawing was tweaked and resubmitted. It was rejected again, this time because the drawing included the U.S. flag. The government pointed out that including a flag could imply that the wine was endorsed by the United States. When Cavett said that a ship without a flag was a pirate ship, the government relented and approved the label. Thus, FairWinds has one of the few labels in the country that includes the U.S. flag. 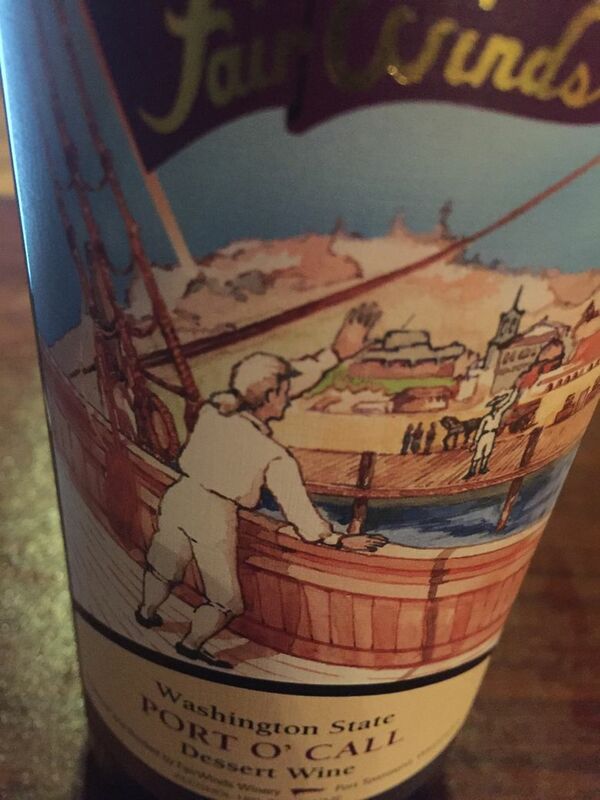 FairWinds has a Port-style wine called Port O’ Call that includes a drawing of a ship coming into a port city that resembles the Port Townsend waterfront.